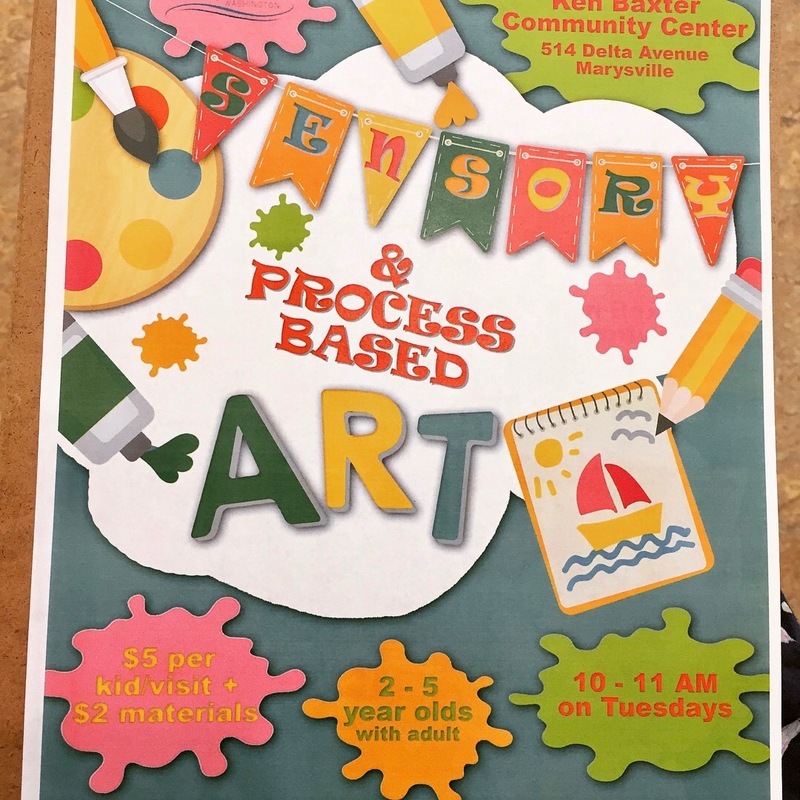 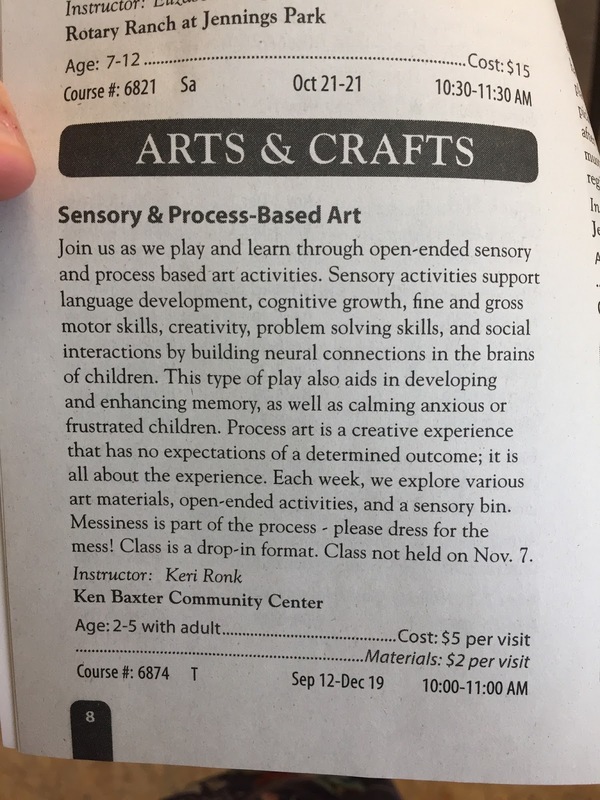 This past fall I taught a Sensory and Process based Art class for 2-5 year olds at the Marysville Community Center. 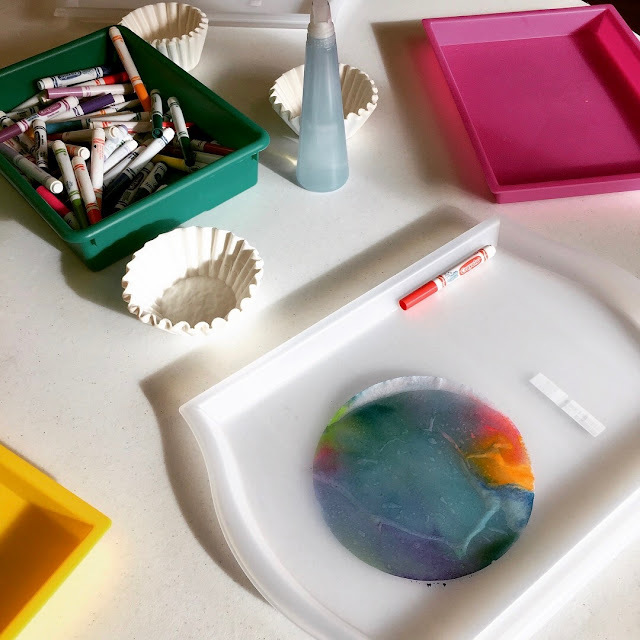 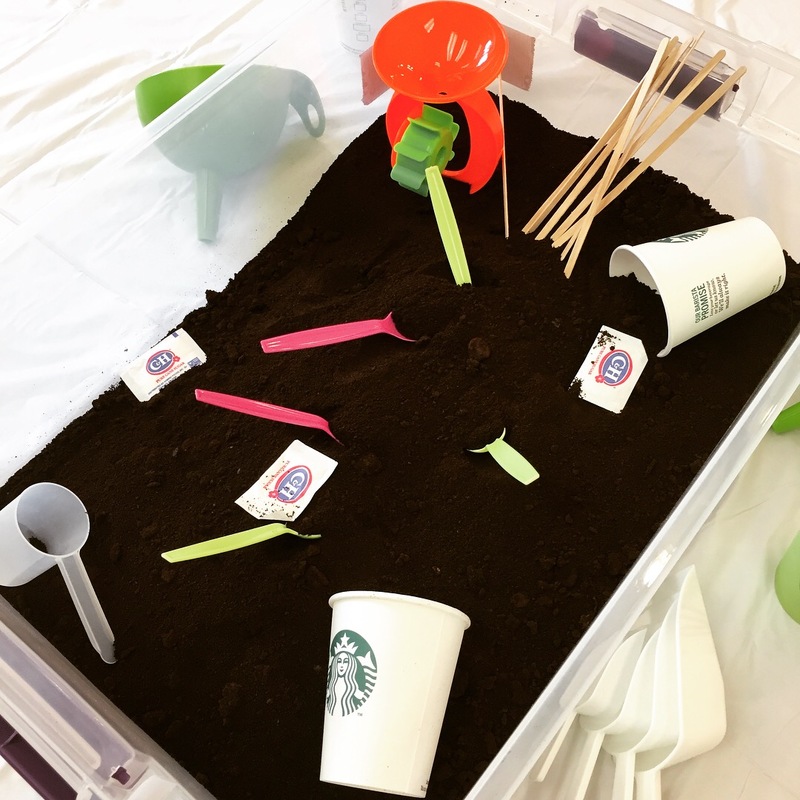 Each week I had a play doh station, a sensory bin station, and 2 art projects. 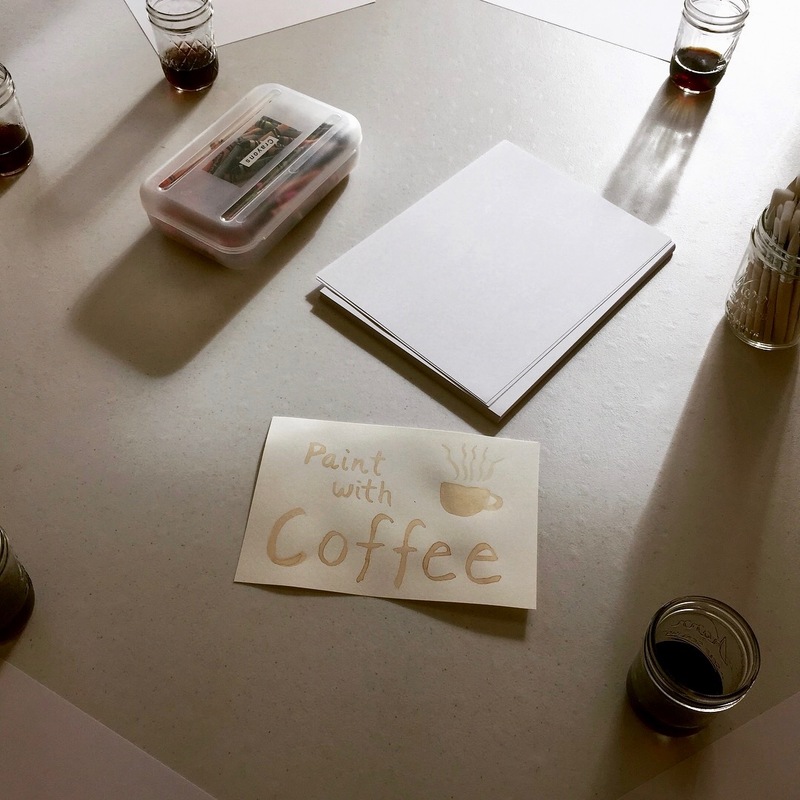 Our first class was a Coffee Shop Theme! 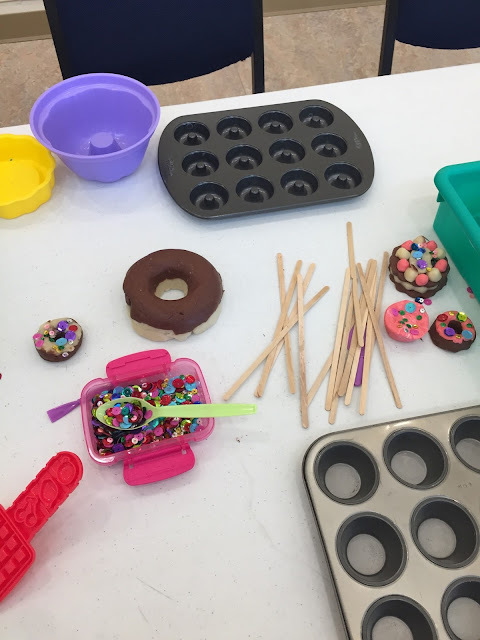 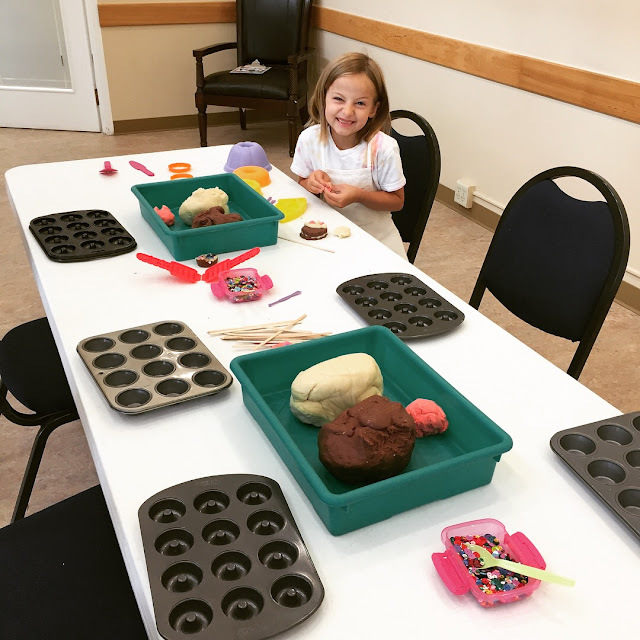 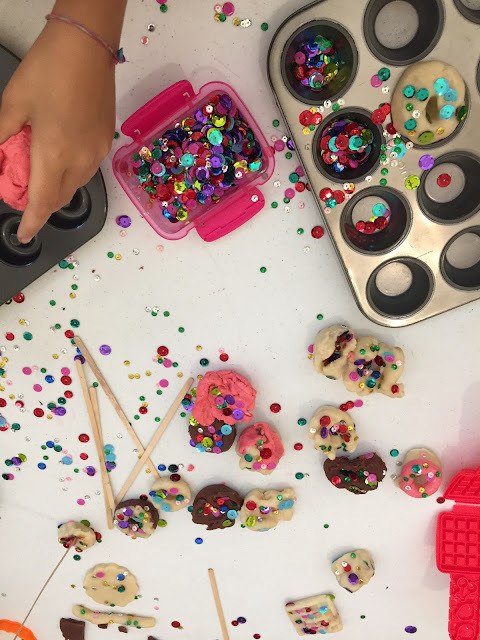 This week at the Play doh table we had chocolate and cake batter scented homemade pay doh with mini donut and mini muffin pans and sequins.